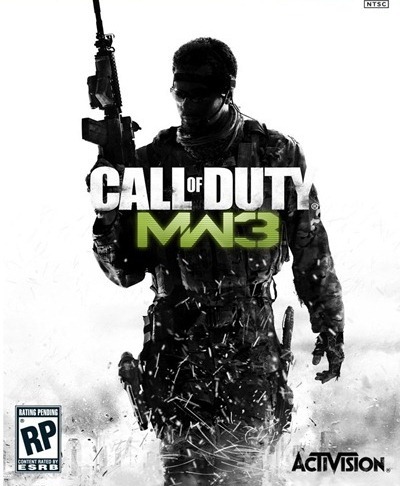 Modern Warfare 3 – the latest title in Activision’s popular Call of Duty series of first person shooters – went pass the $1 billion sales mark in just 16 days, Redmond Pie has learned. The news comes straight from Activision in the form of a press release in which they boast Modern Warfare 3’s outstanding, record-breaking sales numbers. This is the quickest any piece of entertainment (which includes both video games and movies) has reached the $1 billion mark. Although not really a fair comparison*, Activision proudly states that their video game reached the target in just 16 days: three days quicker than 2009’s super-duper hit Avatar, which achieved the same record in 19 days. According to Activision, this highlights "the trend of interactive entertainment gaining a greater hold of audiences worldwide". The number of gamers is on the rise and there are no signs of growth slowing down. About a month ago, we talked about Modern Warfare 3’s first week as well as first day sales. Over 9.3 million copies were sold just in the first 24 hours, with over 12 million copies sold within the first week. In its first week alone, Modern Warfare 3 generated a whopping $775 million. Although the sales numbers speak for themselves, this writer’s humbly believes that the Call of Duty series is really, really started to get stale. The series has become a cash-cow for Activision, and because of this, developers are pushed to release a new Call of Duty title every other year (Infinity Ward develops Modern Warfare titles, while TreyArch works on the others). Each new game in the series feels like a rehashed version of some previous title. While I’m no professional video game analyst, I do think that Call of Duty will go down the same path as EA’s Need for Speed series. Need for Speed was once the most talked-about racing games, but since the series’ decline after Most Wanted, it has become just another series of racing games**. What are your thoughts on the Call of Duty series? Let us know in the comments section over on our Facebook page. *The comparison isn’t fair for a very simple reason: Activision is comparing sales numbers of their video game with a movie. Both are separate forms of entertainment, belong to separate industries and have different ways of making money. Besides this, a movie ticket costs substantially less than a video game, so, if you look at it, more people watched Avatar than people who played and are playing Modern Warfare 3. **Hot Pursuit 2010 was pretty good, though.